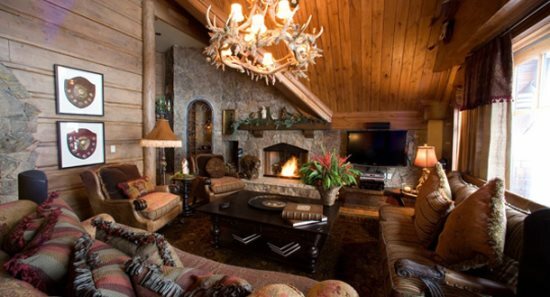 The Penthouse is Architectural Digest quality throughout with custom Carol Hicks Bolton Sofas and Chairs, antiques, original art, hand-forged chandeliers and custom-made draperies and bedding. Enjoy the latest technology for entertainment including LCD TVs throughout with surround sound in the living area and a library of DVDs/CDs. 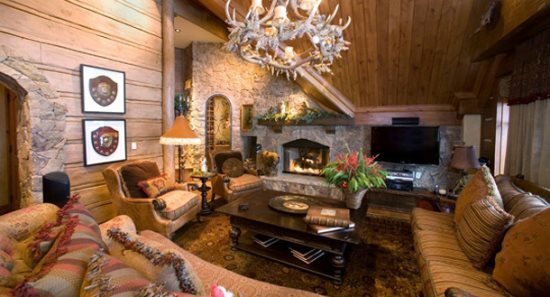 Enjoy overlooking the ski runs from the family room and guest master and the mountain valleys from the Twin, Queen and Master bedroom suites - The views from this top floor penthouse are unparalleled. 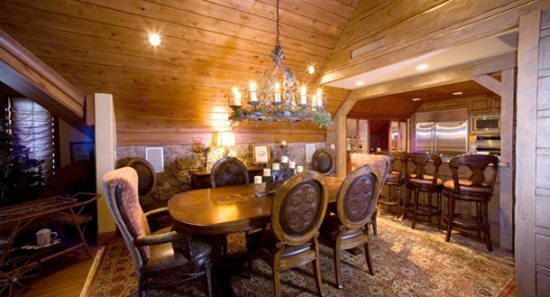 The Dining Room is perfect for entertaining it features a beautiful dining table created with wood inlays, complemented with custom-made leather and fabric chairs. 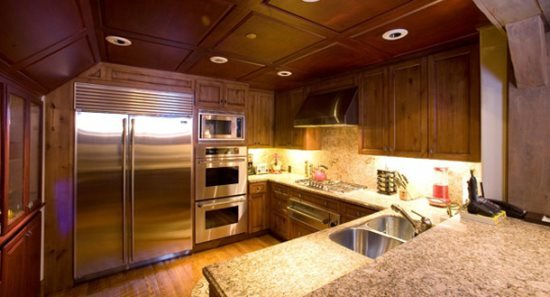 A Chef-ready Kitchen features commercial appliances including Subzero, Thermador double oven, Viking warming drawer, Asko dishwasher and granite countertops. 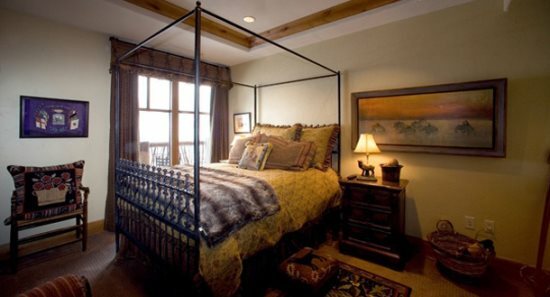 The Master Suite features a hand-carved King Bed complemented with custom bed linens and window treatments. 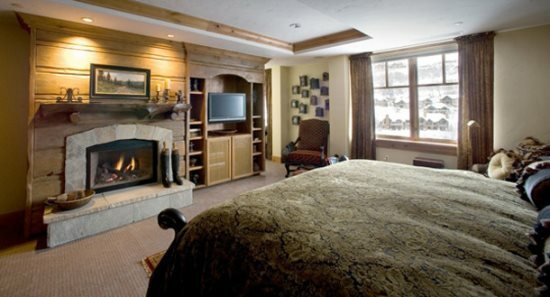 This spacious suite is accented with a custom hand-painted armoire, antique chest, Italian hand carved side table, and paintings by regional artists and provides a cozy area to relax with its fireplace. The Master bathroom features Persian Travertine and Beaumaniere limestone, a heated floor, spacious steam shower, and two separate vanities. 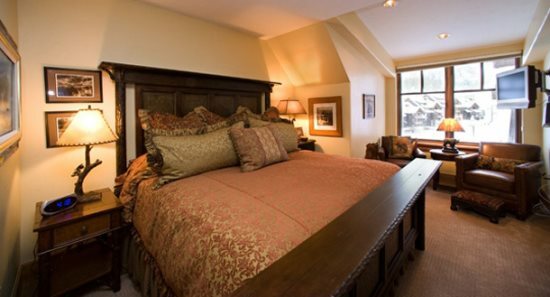 The King Suite Colorado Mountain Style wood bed is complemented with custom-made bed linens and window treatments, and this Suite has a spacious private bathroom with Jacuzzi tub for two. The Queen Suite features an area to relax with a cozy sitting area and the custom Iron Bed is complemented with custom-made bed linens. 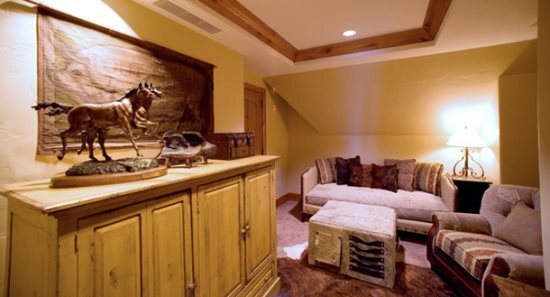 This suite has a private bathroom and French doors that lead to an outdoor balcony with mountain valley views. 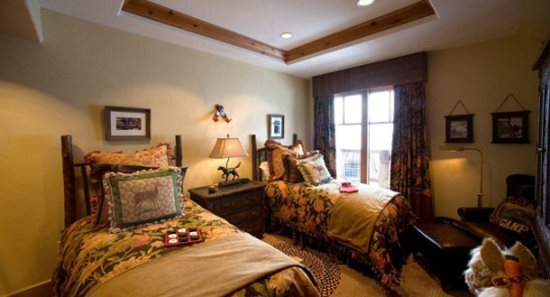 The Twin Suite includes Twin Log Beds complemented with Custom-made bed linens and has a private bathroom, and French doors that lead to an outdoor balcony with mountain valley views.